 We are N M SMITH T/A SMITHS ESTATE AGENTS with registered number N/A and registered address 5a Victoria Rd., Tamworth, Staffs, B79 7HL. Our Data Protection Lead can be contacted at nick@tamworth-homes.co.uk. We have produced this privacy notice in order to keep you informed of how we handle your personal data. All handling of your personal data is done in compliance with the General Data Protection Regulation (EU) 2016/679 ("Data Protection Legislation"). What happens if I refuse to give N M SMITH T/A SMITHS ESTATE AGENTS my personal data? What are N M SMITH T/A SMITHS ESTATE AGENTS’s 'legitimate interests'? Legitimate interests are a flexible basis upon which the law permits the processing of an individual's personal data. To determine whether we have a legitimate interest in processing your data, we balance the needs and benefits to us against the risks and benefits for you of us processing your data. This balancing is performed as objectively as possible by our Data Protection Lead. You are able to object to our processing and we shall consider the extent to which this affects whether we have a legitimate interest. If you would like to find out more about our legitimate interests, please contact us via nick@tamworth-homes.co.uk.  N M SMITH T/A SMITHS ESTATE AGENTS holds different categories of personal data for different periods of time. Wherever possible, we will endeavour to minimise the amount of personal data that we hold. N M SMITH T/A SMITHS ESTATE AGENTS passes your data to the third parties listed in the section 'Third Party Interests' below, for the purposes of providing our services to you, and for no other purpose. N M SMITH T/A SMITHS ESTATE AGENTS uses overseas web and IT providers. Details of what data is sent where, and the safeguards in place, are included in the section 'Third Party Interests' below. TGS Darren Plumber and gas engineer. Peter Mardling Plumber and gas engineer. Leon Hackett Plumber and gas engineer. Gemini LPG Gas Plumber and gas engineer. Steve Sadler Plumber and gas engineer. Dave Pyburn Plumber and gas engineer. Simon Gossage Plumber and gas engineer. John Deakin Plumber and gas engineer. Phil Archer Plumber and gas engineer. ECOGAS BEN Plumber and gas engineer. Richard Brown Plumber and gas engineer. S. Williams Plumber and gas engineer. In addition to sending us your complaints directly to nick@tamworth-homes.co.uk, you can send complaints to our supervisory authority. As N M SMITH T/A SMITHS ESTATE AGENTS predominantly handles the personal data of UK nationals, our supervisory authority is the Information Commissioner's Office. If you believe that we have failed in our compliance with data protection legislation, complaints to this authority can be made by visiting https://ico.org.uk/concerns/ .